Take a stroll through snowy avenues - without ever leaving the house! 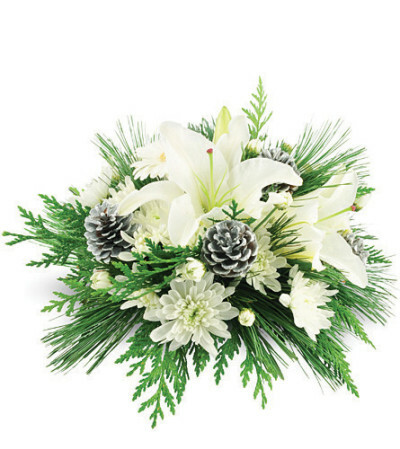 White lilies, white miniature Gerbera daisies, and white mums bring the loveliness of pristine snow indoors, accented with silvery pinecones and winter greens. I live halfway across the country. 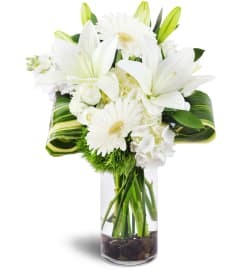 Called to order an arrangement for my sister. She sent me a picture. It was absolutely beautiful and just what I asked for over the phone. 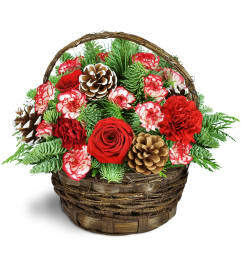 Rockland Florist is a Lovingly Florist in Congers. Buying local matters. Discover how Lovingly supports local florists. Copyrighted images herein are used with permission by Rockland Florist.